Great interest has developed on the Internet relating to the story about Julisa Castillo's "Disproving Global Warming" project. It admittedly had received a NSF prize, with Al Gore in the jury. It has now been confirmed as most probably a strange hoax. First thing to check was for USHCN data. Quick to find it out at the GISS website, and first graph above. Looking at it, I wondered what type of station was this. I went to the surfacestations.org site, and discovered it was a reasonably well located station. But then, the temperature graph, a little more than one year old, was slightly different, as can be seen in the above second graph. Looks like there was some tweaking going on! But discovering anything more about Beeville seemed pretty difficult. 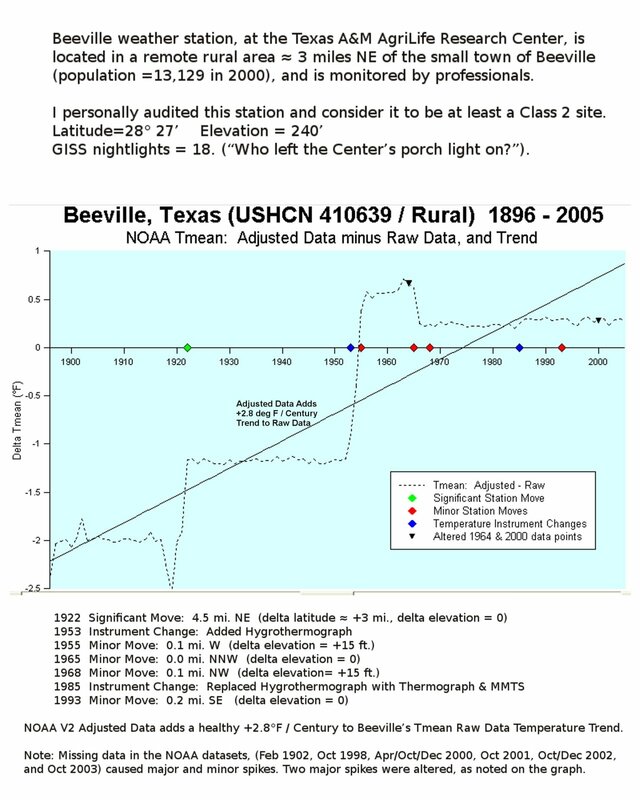 Some interesting information about the station can be found at NOAA. 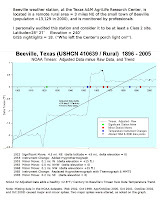 But what really surprised me was the graph uploaded by "Tom in Texas", referenced in the comments section in a Watts Up With That post. 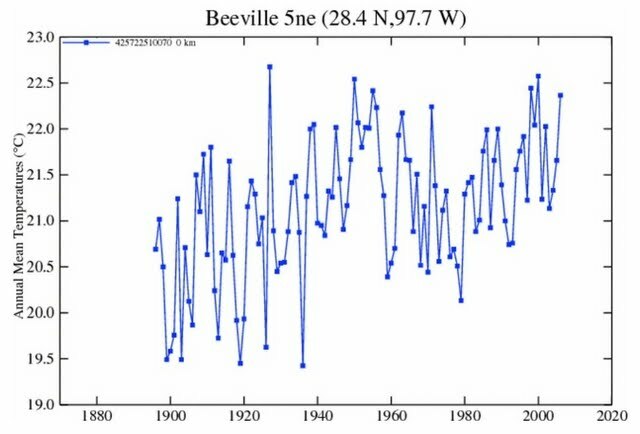 It shows that adjustment data for Beeville is greater than 2ºF for the last 110 years.